Totem Tamers is always happy to support a new business, especially one where there’s a Unicorn for a mascot! Bear, Unicorn, and a latte! Had a delicious cappuccino actually, and they had almond milk. Bonus!! 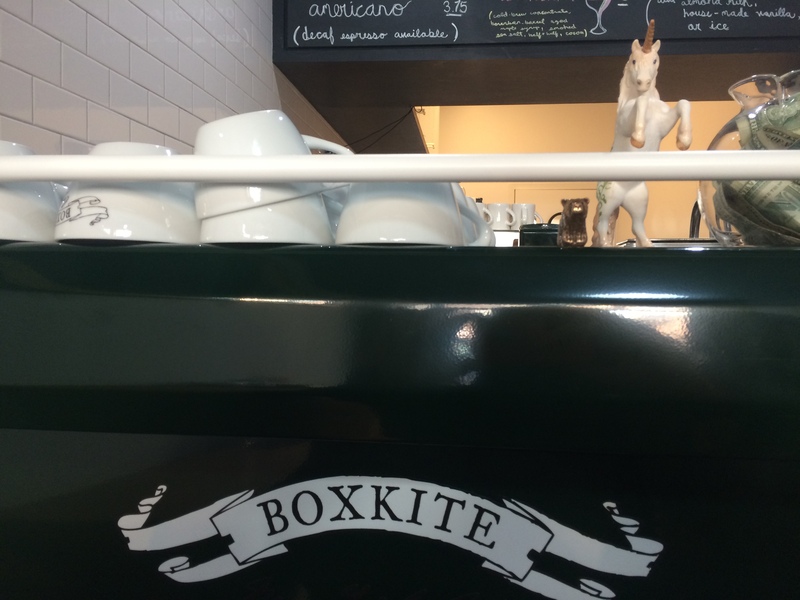 Welcome to the hood Boxkite! Take your Totem around Town and send us the pics to info@totemtamers.com. Don’t have a Totem? Get one easily by clicking on any of the Totems on the side of the page.